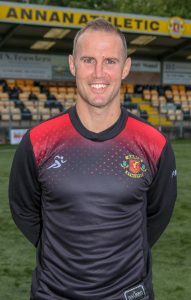 Player manager Peter joins the club as manager following a playing career that seen him earn an international cap for the Republic of Ireland. Defender Murphy made over 400 appearances for Carlisle United and became the record appearance holder during a 12 year stint. During this period he earned promotion from League Two as well going down in Carlisle folklore as he scored the winner in the Johnstones Paint Trophy final against Brentford. On leaving he Carlisle he had a brief spell with now defunct side Celtic Nation and then went on to spend three seasons at Ayr United where he enjoyed another promotion as the honest men won promotion to the Championship. His successful career was recoginsed with a call up to the Republic of Ireland squad where he won his first and only cap against Bolivia. 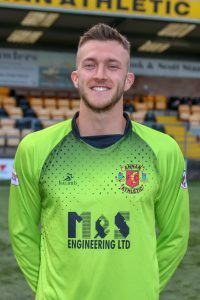 Alex is now in his second spell at Galabank following a season at Workington. Alex started his career at Carlisle United and when released joined Gretna 2008. 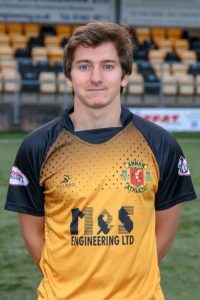 After a successful spell with them he then signed for Annan in January 2011. 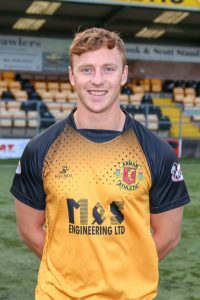 After playing over 100 matches with the Black and Golds he left the club in 2015 to sign for Workington before returning to in the summer of 2016. 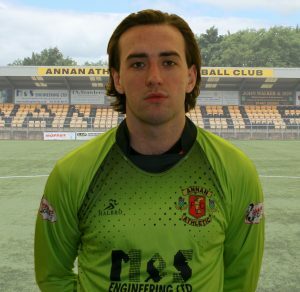 The club are delighted to bring in Goalkeeper Aidan McAdams from Rangers FC. The 19 year old shot stopper started his football at Celtic at the age of 8 years old and has been scouted by several English clubs before recently making the move across Glasgow, signing a three year deal with Rangers. The 19 year old full back joins the Black and Golds from near neighbours Queen of the South. Right sided defender Scott Hooper has signed for the 2017/18 season after spending the last four seasons at SPFL Championship side Queen Of The South. 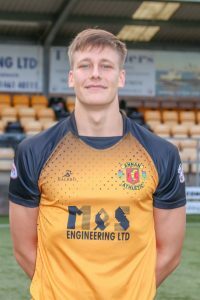 Scott can play both right back or centre half and enjoyed a loan spell at Queens Park during their promotion season of 2015/2016. 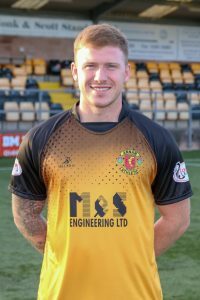 Born and bred in Annan, Peter is in his second spell at the club after re-signing at the start of our inaugral SPFL season 2008/2009 following a spell at Albion Rovers. 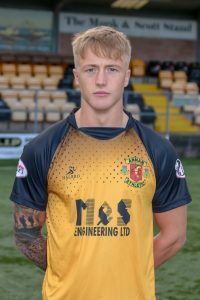 He is one of only two players in the current squad who has been involved in every one of our seasons as an SFL/SPFL club and holds the record for having the most SPFL league appearances in the clubs history. Central Defender who joined the club in January 2012. 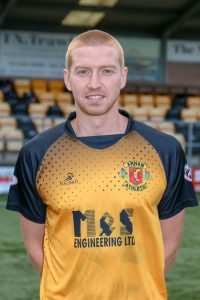 He originally started his career at Carlisle United and starred for Annan on a successful loan spell in the 2011/12 season where this move was then made permanent. 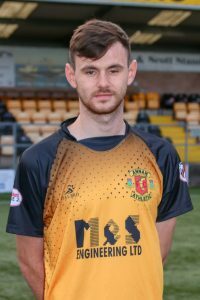 The left footed centre back is a dominant force in Annan’s rear guard and one who has won many admirers for his commanding performances. 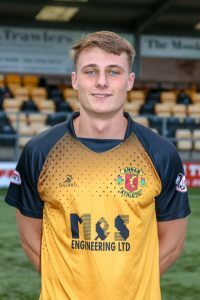 Defender Lewis Strapp joined the youth academy at Morton in 2012 and signed a professional contract with the club in 2015 at the age of 16. He made his first team debut at the start of the 2016/17 season in a Betfred Cup tie against Albion Rovers. The 18 year old left back had a spell on loan at Elgin last season, as well as making 7 starts in the Championship with his parent club. 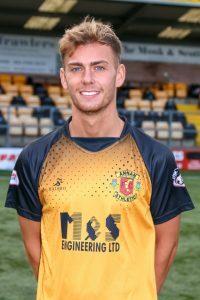 Lewis saw his start to the season this year disrupted by a broken toe but will be keen to get some first team action at Galabank. 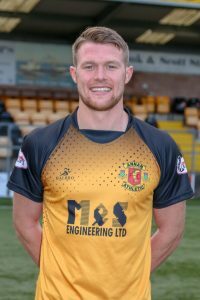 The Morton full back re-signs with Annan on loan for the second half of the season. Midfielder Owen signs after being released from Ladbrokes Championship side Queen Of The South. The central midfielder was part of Carlisle Uniteds youth system before moving making the move north of the border to Queens. During last season he made six appearances from the bench for the Doonhammers. 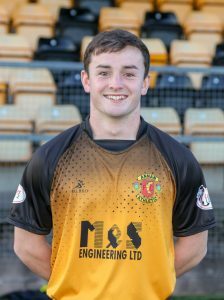 Wilson started his youth career at Partick Thistle where he went on to make his first team debut in 2014 aged 19. He went on to make 19 appearances for the jags before spending a spell on loan at Stranraer. 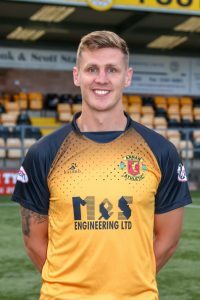 After leaving Firhill, David was signed by Dumbarton last summer and made 22 appearances in the Championship last season. Striker Aidan has joined the club for 2017/18 season following a successful loan spell from SPFL Championship side Queen Of The South. 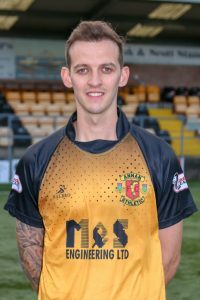 The live wire striker scored nine goals last season as Annan made their run to the end of season play-offs. 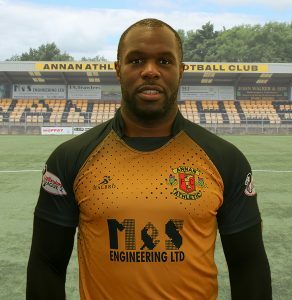 Striker Christian Nade signs at Galabank at the end of the January transfer window but is no stranger to Annan fans having spent a period on trial at Galabank under previous manager Jim Chapman, with the Striker returning to previous club Dumbarton after the trial. With a wealth of experience Christian will no doubt enhance our attacking options whilst also help develop our younger players. 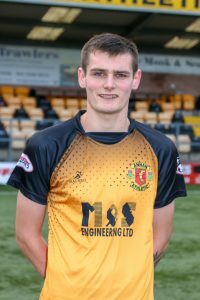 Chris started his career at Kilmarnock where made his first team debut at 17 years old, going on to make 65 appearances for the Premier League side in his 4 years at Rugby Park. 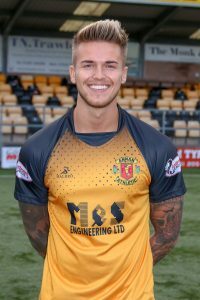 After being released in summer 2016 Johnston joined Championship side Raith Rovers, making 27 appearances before signing with Dumbarton a year later. He spent the end of last season on loan at Peterhead and was released by Dumbarton at the end of the loan deal.